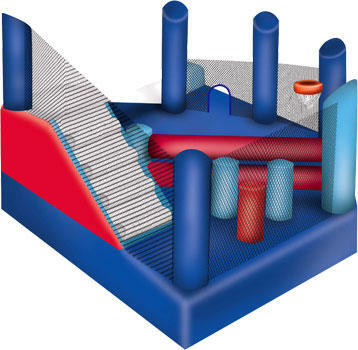 5 in1 Mega Combo Bounce House. 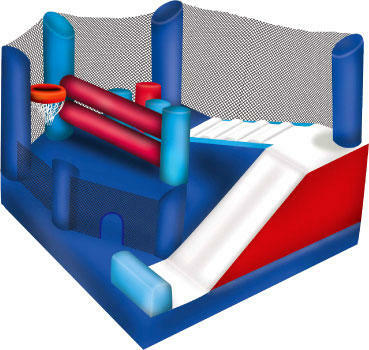 Boys and girls of all ages will have a great time bouncing, climbing and sliding on this large combo. 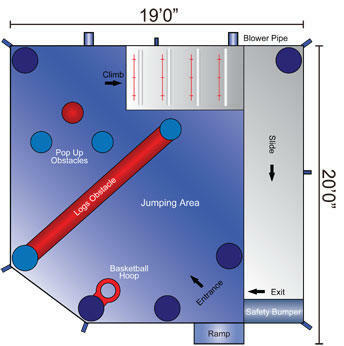 It has obstacles,slide and a basketball hoop too! Order the 5 in 1 Mega Combo for your next party or event! Capacity: Up to 12 kids depending on age.